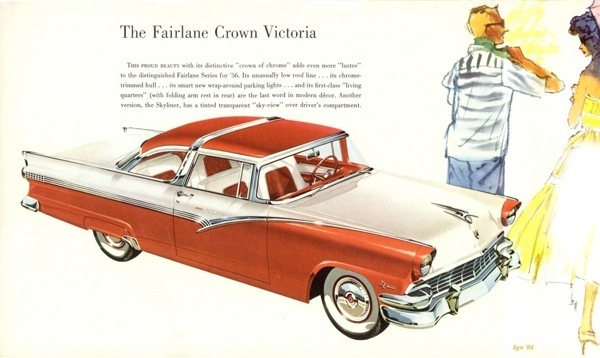 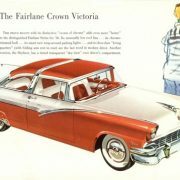 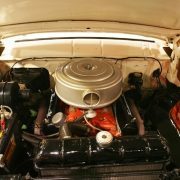 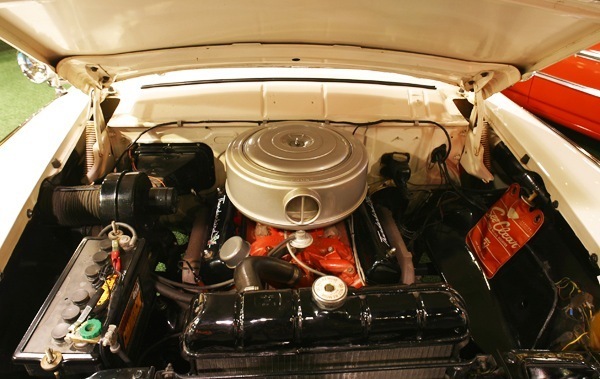 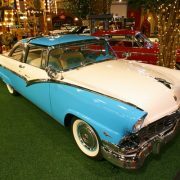 The first “Crown Victoria” appeared in 1955; it was a 2-door 6-seater hardtop coupe, part of the Ford Fairlane range, that differed from the regular Victoria model (named after a type of carriage) by having a stainless steel band that ‘crowned’ the roofline, passing right over the car, as an extension of the B-pillar line. 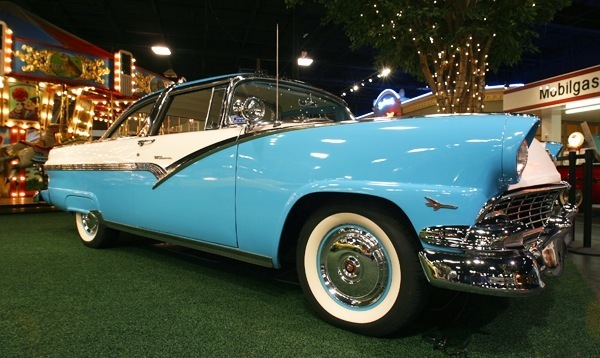 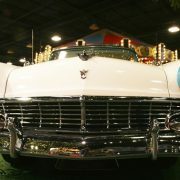 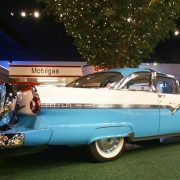 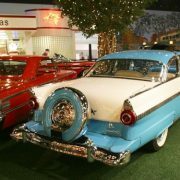 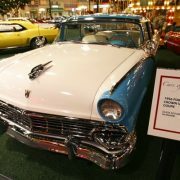 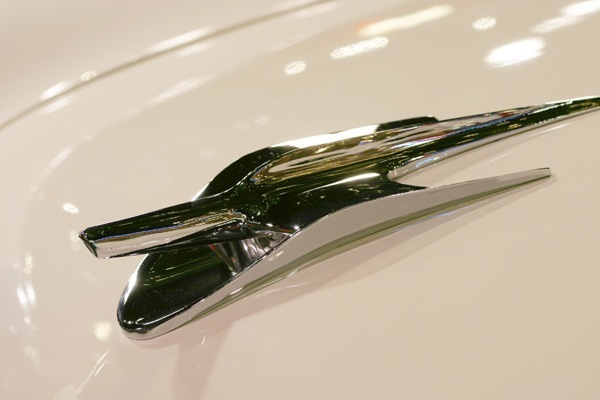 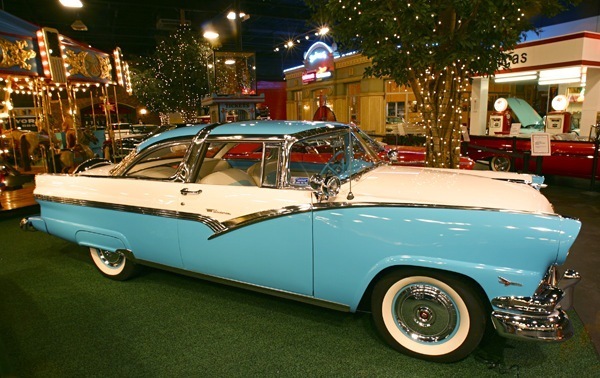 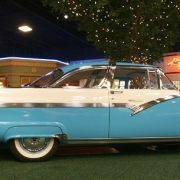 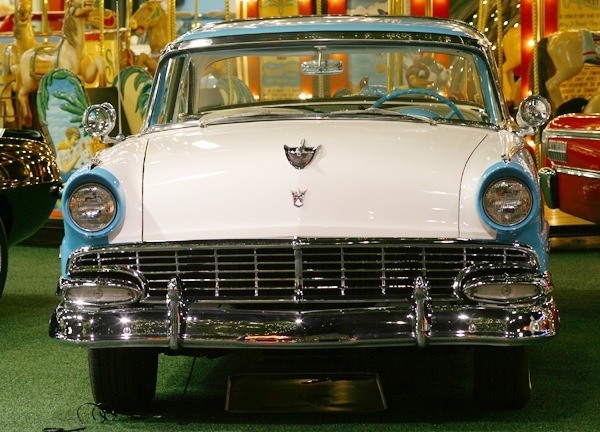 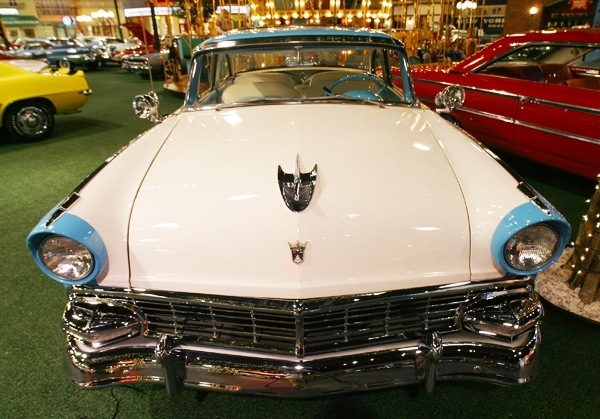 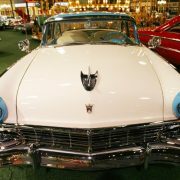 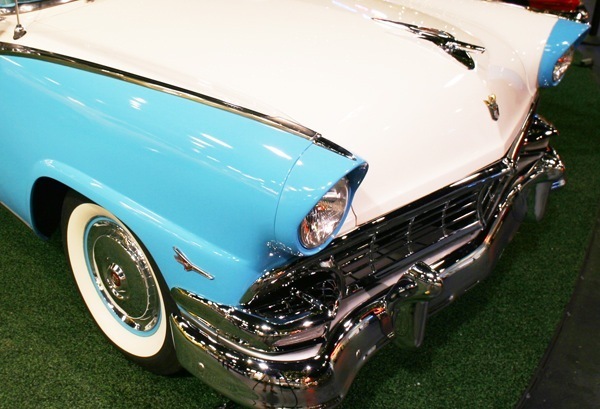 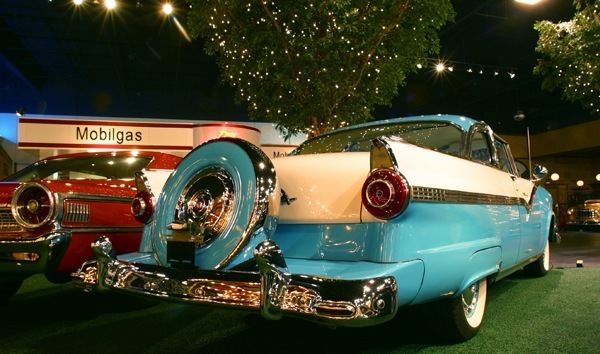 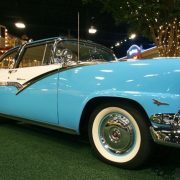 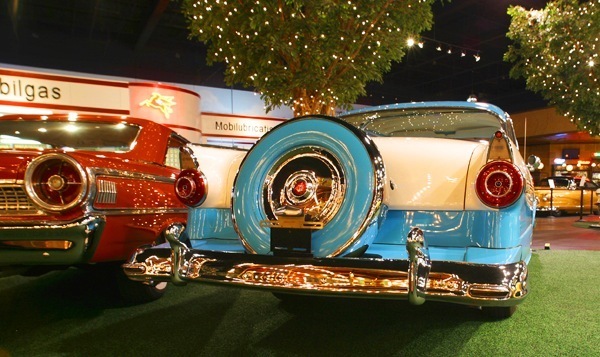 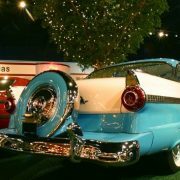 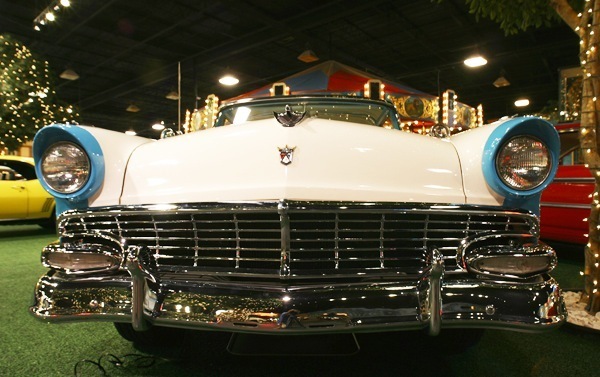 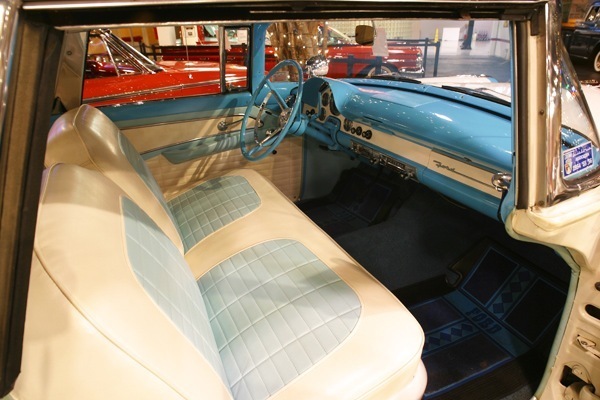 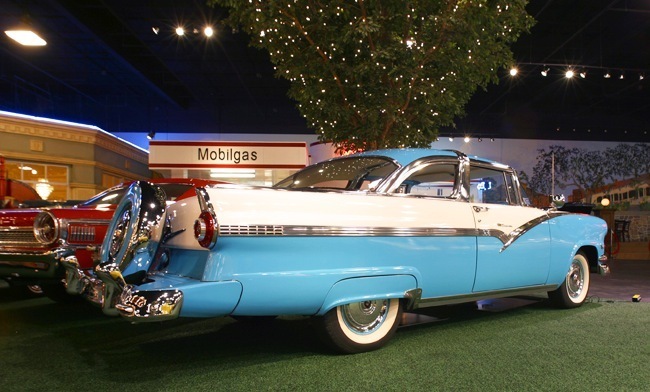 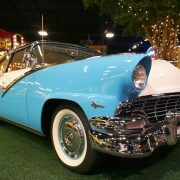 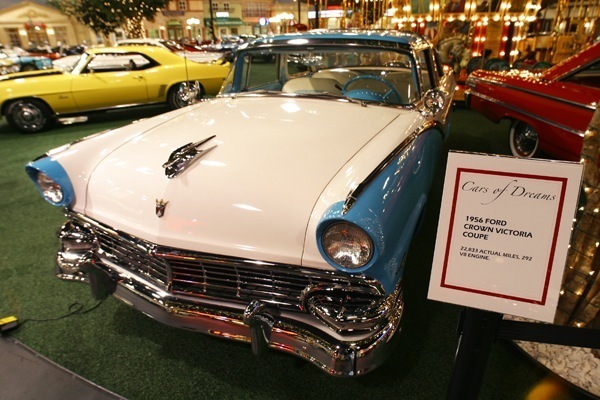 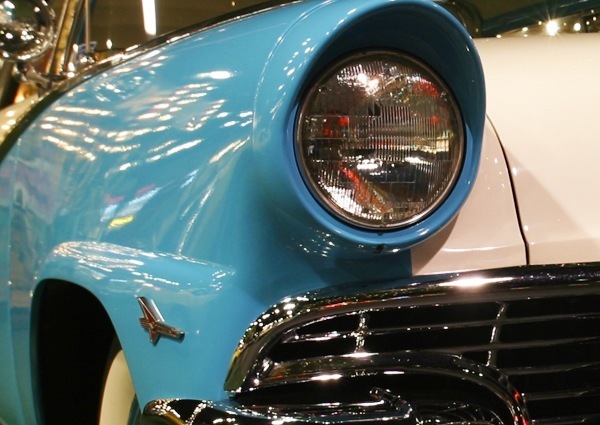 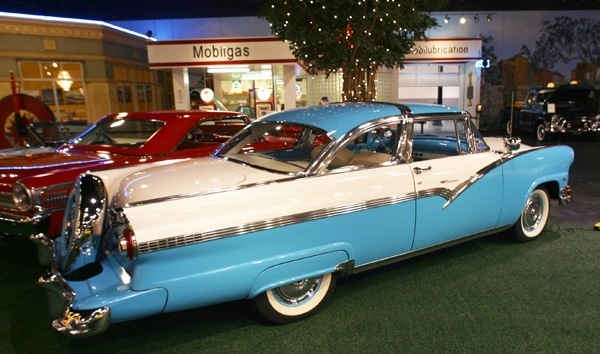 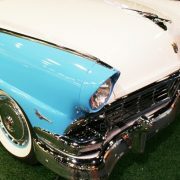 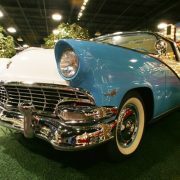 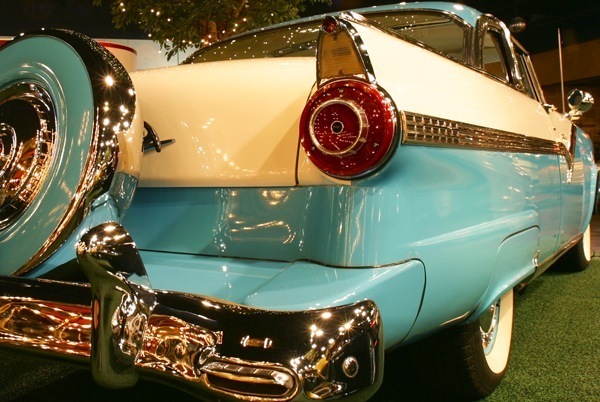 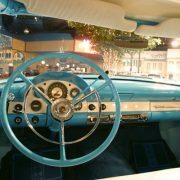 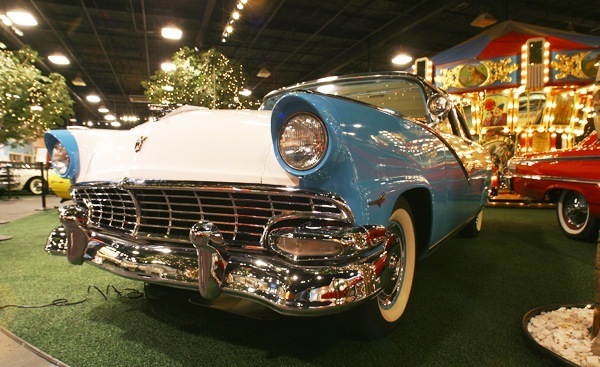 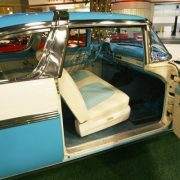 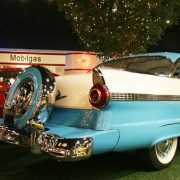 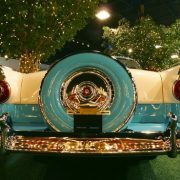 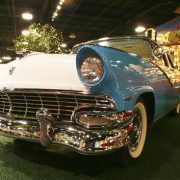 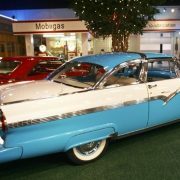 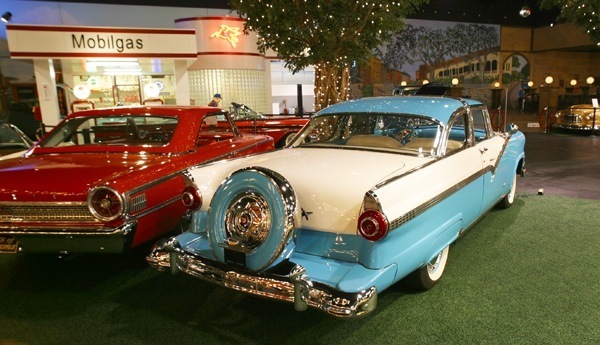 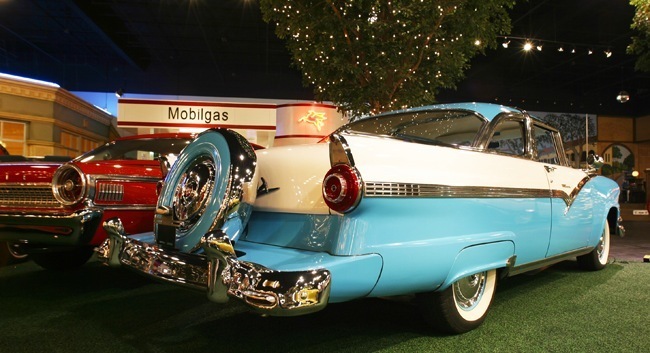 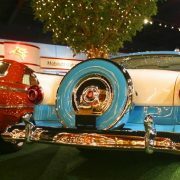 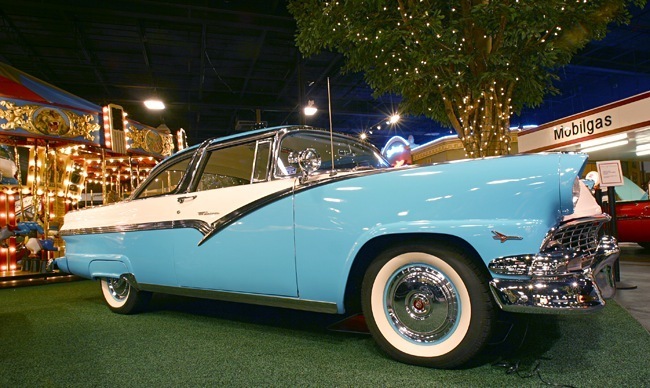 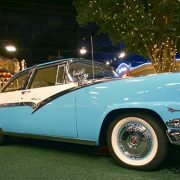 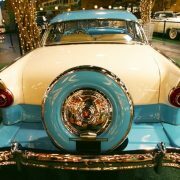 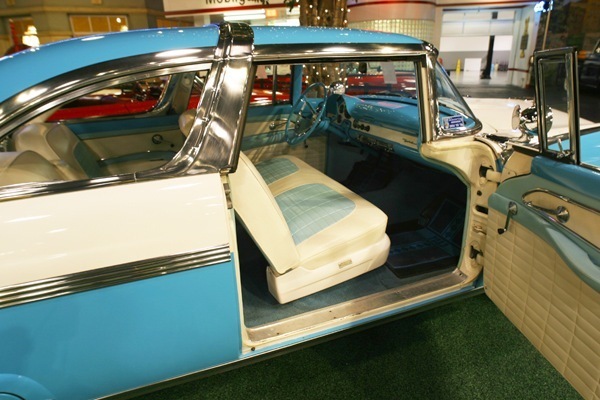 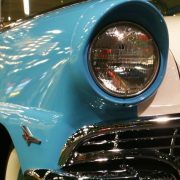 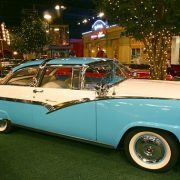 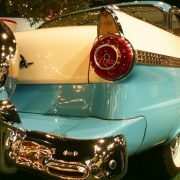 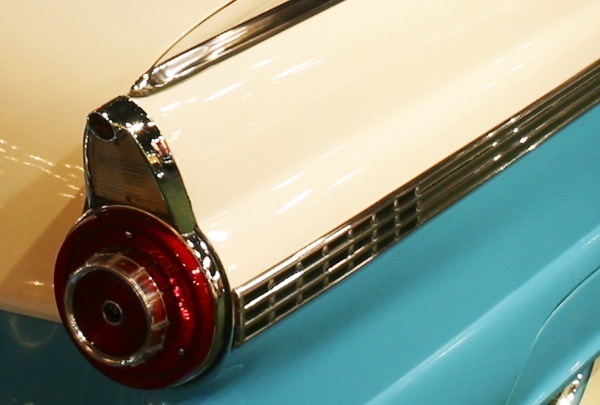 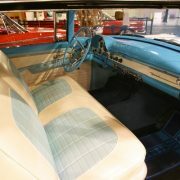 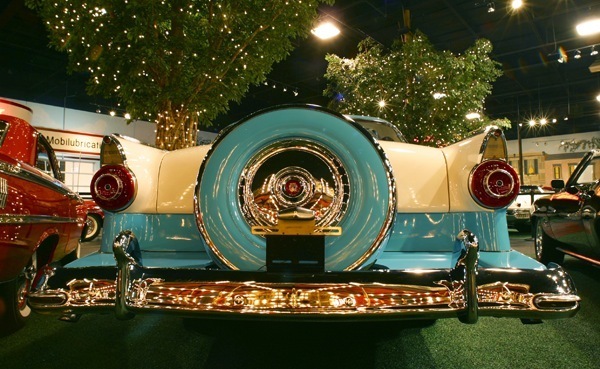 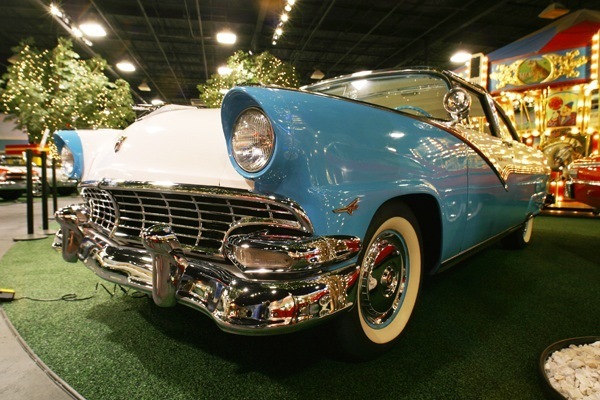 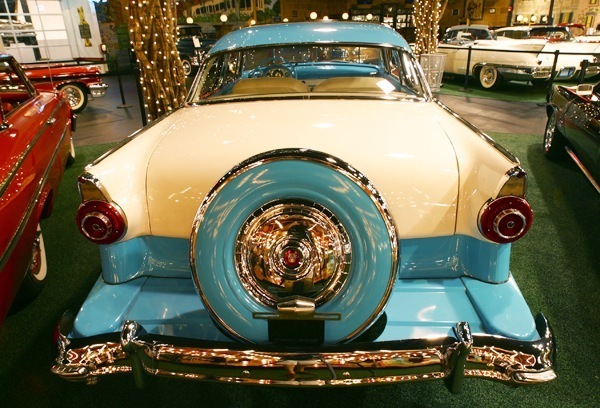 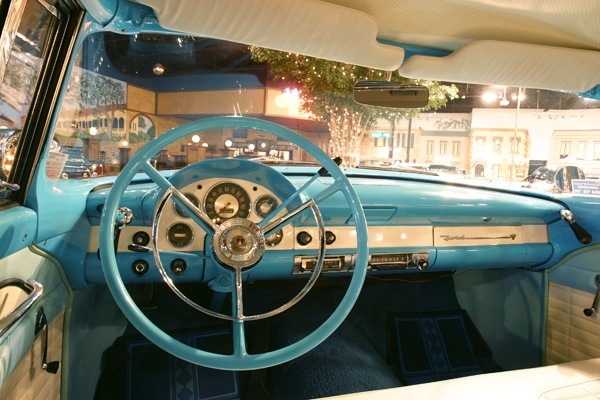 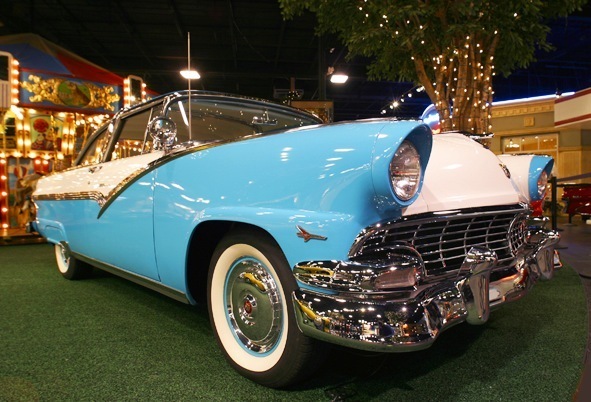 The model was produced in 1955 and 1956.One version called Ford Crown Victoria Skyliner had the front part of the roof, in front of the steel band, in acrylic glass. 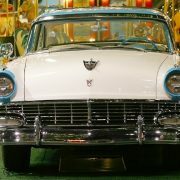 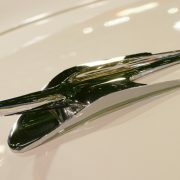 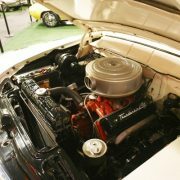 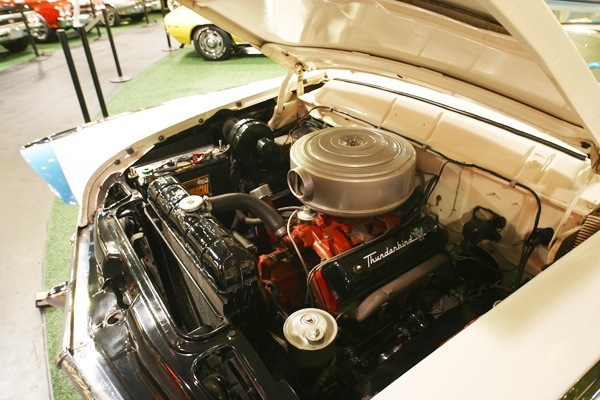 This made the car difficult to sell, especially in the southern states in USA. 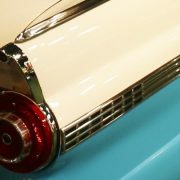 Thus few Skyliners were made. 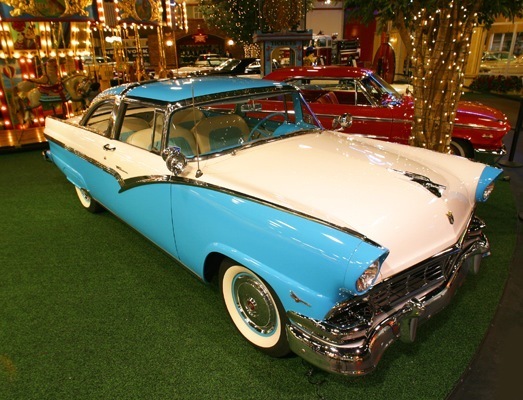 Most of them ended up in Sweden, possibly because the climate was more suitable for an acrylic glass roof.